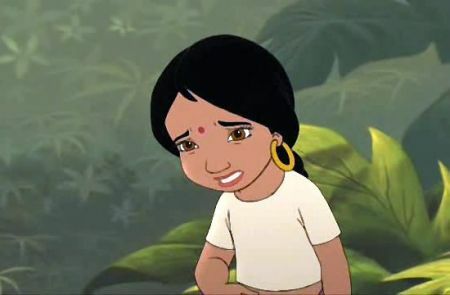 Shanti: Mowgli! Mowgli? Is that you? Mowgli? He's gotta be here somewhere. Kaa: I swear... uhh! I shall never again associate With man-cubs. Oh! Shanti: Oh. Oh, where could he be? Kaa: Why, the little... snack. Hooh. Ha ha ha. Shanti: Who is it? Who's there? Kaa: Excuse me. Might I be of some assistance? Are you lost, little one? Heh heh. Are you hungry? I'm starved. Ranjan: Bad snake! Bad snake! Shanti: Ranjan? What are you doing here? You leave Shanti alone! Shanti: OK, Ranjan. I think he's had enough. Ranjan: You're not getting away that easy! Shanti: Oh, Ranjan, what are you doing? You're not supposed to be here. We have to get you home right now. Ranjan: No! 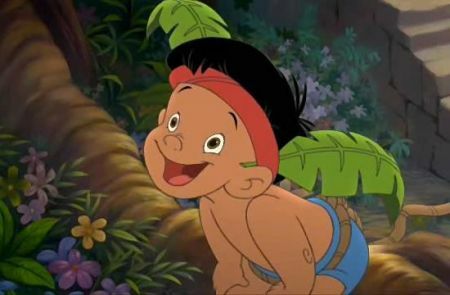 Mowgli's in trouble, and we're going to find him! I can smell him. He's this way! Shanti: Oh, OK... but stay close. We don't want to run into any more scary animals. Ranjan: Rarr! Shanti: Oh, stop that. 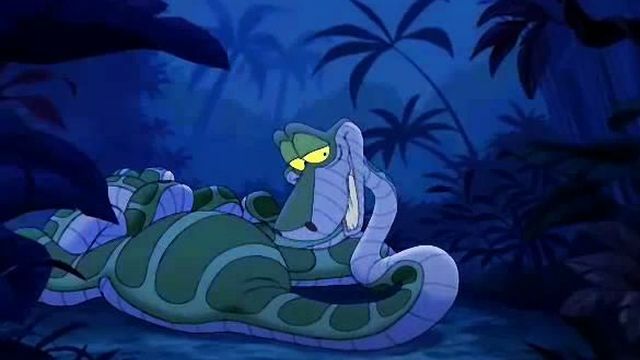 Kaa: Oh, mercy. Ooh! Shere Khan? Shere Khan: Anyone I know? Kaa: I wish. Aw, stupid man-cub. Shere Khan: Man-cub? Kaa: Uh, did... did I s-say man-cub? Well, well, I you know... I'd love to stay and shoot the breeze and all, but... Shere Khan: What's your hurry? Kaa: Uh, no reason. I... Oh! Shere Khan: Where is he? Kaa: Who he? Shere Khan: The man-cub Mowgli. I know you know. Kaa: Well, but I... I don't. Shere Khan: Oh, please don't insult my intelligence. It makes me irritable. 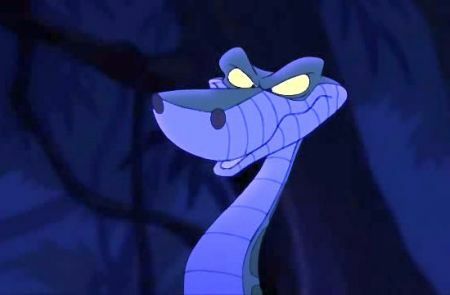 Kaa: Oh, he's not in the village. Shere Khan: I know where he isn't. Now tell me where he is. Kaa: Well, he's, um, he's... he's... The swamp! Uh, he's at the s-swamp, yes. Shere Khan: Hmm. The swamp, eh? Kaa: Yes. Trust in me. 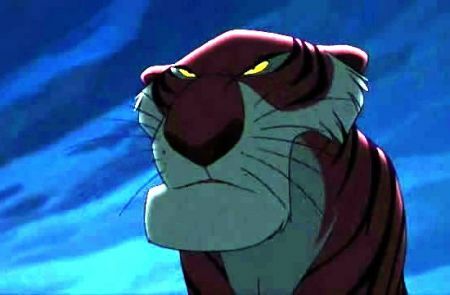 Shere Khan: He'd better be... for your sake. Kaa: He is, he is! I'd...I'd take you there myself but I'm afraid I'd slow you down... indigestion and all.